Renault's support will not include cash, reports say. 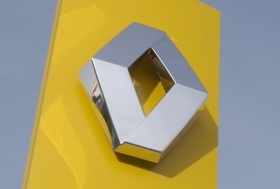 MUNICH -- Russia has pledged billions in cash and Renault SA will provide key expertise as part of a preliminary deal to help rescue troubled automaker AvtoVAZ. Renault will contribute the equivalent of 240 million euros ($358 million) in technologies and equipment to help AvtoVAZ, the maker of the Lada brand, produce new vehicles based on platform the French automaker uses for the successful Logan sedan, which is one of the country's top-selling models. AvtoVAZ is 25 percent owned by Renault, which paid $1 billion for its stake in 2008.
replace the Lada Classic as well as help create new powertrain production capacity for its partner. Renault together with alliance partner Nissan Motor Co. aim to help increase production at AvtoVAZ's underutilized car assembly plant in Togliatti by adding model output at the plant. The aim is to boost production to 900,000 units a year by 2015 from an expected 400,000 this year, Renault said in a statement. Renault and Russia have spend months discussing ways to help AvtoVAZ, which owes nearly 60 billion rubles ($2.08 billion) in short-term loans. As part of Friday's deal, the Russian government will increase its financial support for AvtoVAZ from 25 billion to 75 billion rubles to reimburse debt and cover the company's short-term cash needs. transferred to two AvtoVAZ subsidiaries. AvtoVAZ employs nearly 100,000 people at its base in Togliatti -- a one-industry town in central Russia -- and the government fears major social unrest if there are mass layoffs. Christian Esteve, head of Renault's Eurasia management committee, Sergey Tchemezov, director general of fellow AvtoVAZ shareholder, state-controlled Russian Technologies, AvtoVAZ President Igor Komarov and Serguei Skvortsov, managing director of AvtoVAZ shareholder Troika Dialog, signed the memorandum of understanding at a Franco-Russian government seminar in Rambouillet, just outside Paris on Friday.